Welcome to this 14th installment of Fan Art Friday! Did you know that the number 14 is unlucky in parts of Asia, much like the number 13 is in the West? Floors in buildings in Hong Kong, with its Eastern and Western history, jump straight from 12 to 15, even. So there you have it – more than you ever wanted to know about the number 14. Let’s get to the fan art, shall we? Remember, you can subject your own fan art to bizarre numerological babbling by sending it to fanart@revergelabs.com. 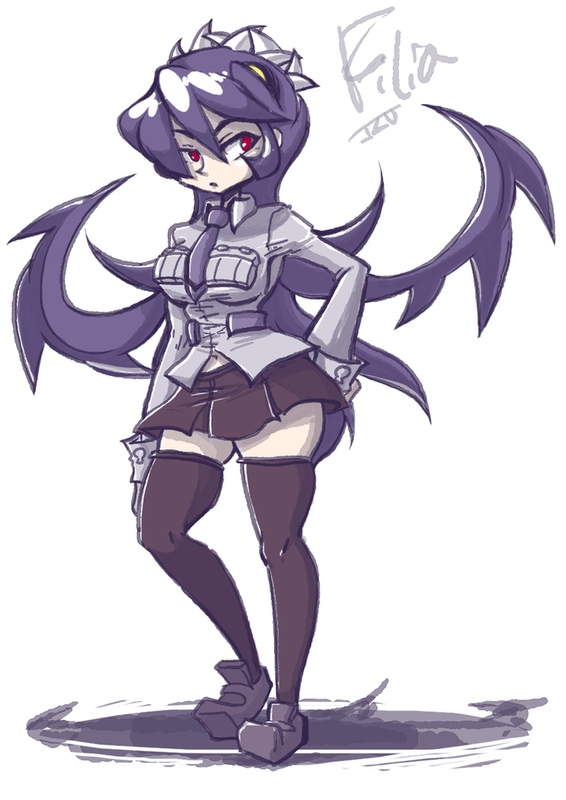 This portrait of Filia by Izuma is dripping with attitude. 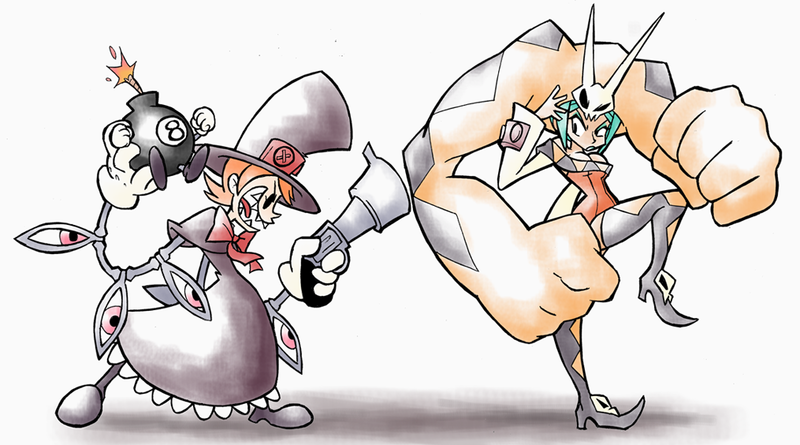 Peacock menace Cerebella as only she can in this piece by Meowtwo. In this piece by YunaXD, Peacock shows off a small fraction of her arsenal. I don’t know who this is and who keeps putting them here, but there’s probably a reason for it… right? Oh yeah – this is by PsychoTime and it’s awesome! Yikes. 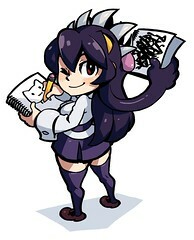 Honestly, I have a hard time looking at that drawing. I made it in ’07. The Peacock fan art here is kickass.